Choosing Dogs: What Kind of Dog is Right For You? Welcome to Urban Dog, the ultimate go-to resource for the devout metropolitan canine owner. 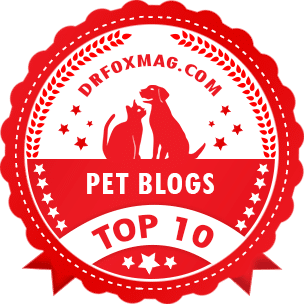 Our goal as dog-lovin’ bloggers is to entertain, engage, and hopefully enlighten. As dog owners, we understand the things you want to know about; we’ll cover such topics as health issues, adopting rescues and pure breeds, dealing with pet allergies, reviewing dog runs, legal problems, finding transportation, engaging real estate agents who specialize in pet friendly buildings, and other related subjects. Kids five and up are invited to read to licensed therapy dogs and their owners. Comedy show at the East Village's dog friendly cafe. You can read Urban Dog's review here. Fashion Show for pets and their owners at the Hotel Pennsylvania. More than 180 pieces of dog artwork and six interactive digital exhibits featured in New York City’s newest museum. Exhibit of Dogs in Art at the Doyle auction house. Exhibition includes paintings depicting Non-Sporting, Sporting, Terriers, and Toys. Paintings by Charles Olivier de Penne, George Earl, Maud Earl, Thomas Earl, John Emms, Edmund H. Osthaus, Alexander Pope, John Martin Tracy, and Arthur Wardle will be featured. Masters Agility Championship and AKC's Meet the Breeds. 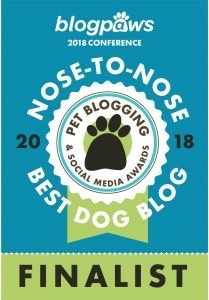 Just send in a photo of your dog and the organizers set it all up for you! An "Italian-themed" event sponsored by PupScouts. A fun awards show for dogs who like to dress up! This year's theme is "Bollywood!" Here's a story Urban Dog did on the first edition of this event. Masters Obedience Championship and judging of Hound, Toy, Non-Sporting and Herding Groups. Judging of Sporting, Working and Terrier Groups and Best in Show. An auction of Dogs in Art, including the Sporting Art Collection of James W. Smith, at the Doyle Aution House. Food, beer, comedy, and dogs! Who could ask for anything more? Comedians perform for humans and dogs. They even invite dogs onstage to participate. Happy hour from 3:00 PM to 8:00 PM. The show starts at 8:00 PM. City of Dogs author will be signing books at this benefit for the Bully Project. 5% of sales donated to the Bully Project.